What Do Non-Diabetic Blood Sugar Spikes Early in Pregnancy Have to Do with Your Unborn Baby? - A Lot! When you are expecting a baby, you hope for the best and do everything in your power to protect the health of your unborn child. But sometimes things happen, and your child may be born with some type of birth defect. One of these birth defects is congenital heart disease. Congenital heart disease (meaning heart disease existing at birth) is the most common type of birth defect. Reportedly, 1 in 100 children are born with congenital heart defects (CHDs). “A defect results when the heart or blood vessels near the heart don't develop normally before birth,” according to the American Heart Association (AHA). At least 18 distinct types of congenital heart defects are recognized, with many additional anatomic variations. Certain medications. For example, women who have seizure disorders and need to take anti-seizure medications may have a higher risk of having a baby with CHDs. This may also be the case for women who take lithium to help with depression. Smoking and consuming alcohol while pregnant. Exposure to certain viruses, like Rubella (during first trimester of pregnancy). Women with pre-existing diabetes or obesity. And a recent study led by researchers at Stanford University School of Medicine, found that having higher blood sugar (even without having diabetes) during early pregnancy (when the fetal heart is forming) may increase the risk of having a baby with a congenital heart defect. The researchers examined medical records from 19,107 pairs of mothers and their babies born between 2009 and 2015. Information extracted from the medical records included details about the mothers’ prenatal care, including blood test results and any cardiac diagnoses made for the babies during pregnancy or after birth. Infants who were born from multiple pregnancies (e.g., twins, triplets etc. ), had certain genetic disorders or whose mothers had extremely low or high body-mass-index measures were not included in the study. There were 811 (out of the 19,107) infants in the study that were diagnosed with congenital heart defects. Researchers analyzed blood glucose levels from any blood samples of the mothers, between four weeks before estimated date of conception and just after the completion of the first trimester of pregnancy (when the fetal heart is forming). The researchers were able to gather this information from 2,292 (13%) of the mothers involved in the study. They also looked at the results of oral glucose tolerance tests performed around 20 weeks of gestation (during the second trimester of pregnancy). They were able to gather this information from just under half (9,511) of the women in the study. So this study suggests that it may be a good idea for women (prediabetic, diabetic or not) to get their blood glucose measured early in their pregnancies, in order to see if they are at risk of having a baby with congenital heart disease. So how can a pregnant woman be proactive about avoiding high glucose levels during early pregnancy? There is so much you can do diet-wise and nutritionally, but keep in mind that every woman and every pregnancy is different. This is why it is imperative you speak with your doctor about a meal plan that is specifically tailored to you and your pregnancy. 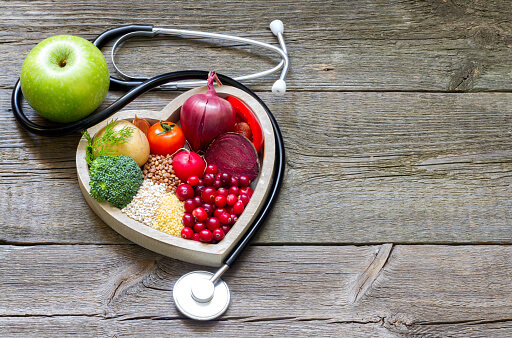 There are, however, a few things you may do to prevent blood sugar level spikes and overall maintain healthy glucose levels. And ideally, you can do these things even well before getting pregnant to avoid having a risky pregnancy. If you need to, lose excess weight. If you can do this before you are pregnant, that is best. If you are already pregnant but still overweight or obese, speak with your doctor about how you can safely lose weight during pregnancy. Eat a fiber rich diet that includes fruits, vegetables, lean protein and healthy fats, like avocados. Limit your intake of high glycemic index foods, like white bread. It is important to note that some foods, like pineapple, are healthy and not processed but also have a high glycemic index. 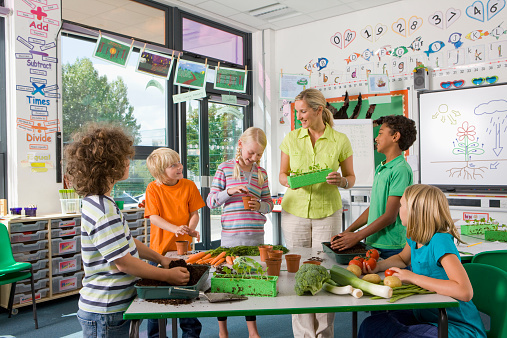 This is why it is important to construct a meal plan with a competent healthcare professional. Generally, eating an excessive amount of fruit is never a good idea. Although fruit is delicious and healthy, it may be high in sugar and should be consumed in moderation. Drink water. It is important to stay hydrated. And drinking water may help stabilize blood sugar levels. If you have permission from your doctor, exercise. Light to moderate exercise, like walking or swimming, can be great for a woman during pregnancy and also help stabilize blood sugar. Check your blood sugar levels. As we saw from the study discussed here, you may be better off testing your blood sugar early in the pregnancy and throughout the duration of your pregnancy. There are at-home tests you can use. You may also ask your doctor during check-ups about checking your blood sugar levels. 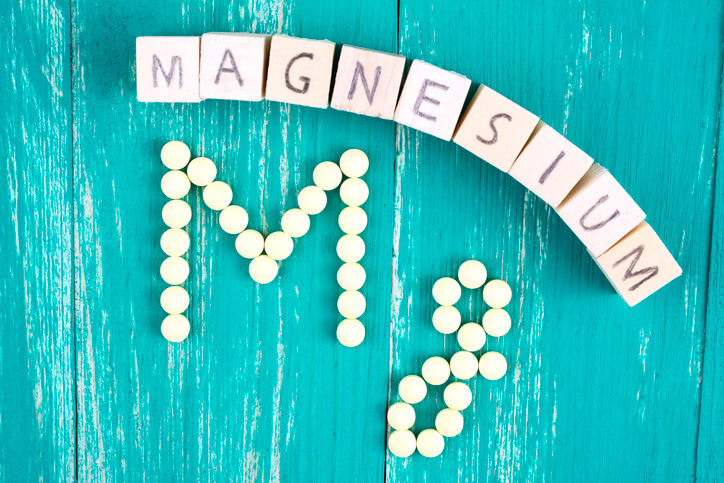 Magnesium is also an important nutrient for pregnant women. It is a mineral that is an important cofactor for hundreds of processes and reactions in the body. Magnesium may also help the body break down sugars and may help to reduce the risk of insulin resistance. 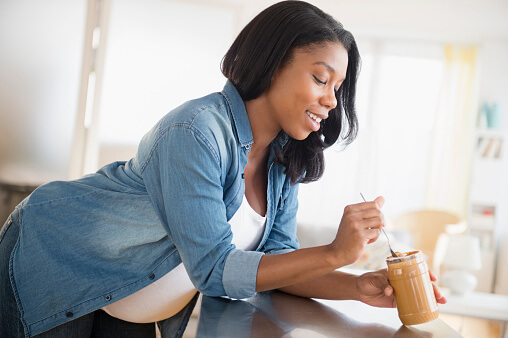 In addition to checking your blood sugar levels during pregnancy, talk to your doctor about taking a comprehensive nutrient test in order to determine if you have any nutrient imbalances and/or deficiencies. Ensuring you are nutritionally balanced, will help you have a healthier and more comfortable pregnancy and then finally, in the end, a healthy baby.